Tales of our travels and tips for people who love to travel like we do. This guest post is by Dave Tindell. After going horseback riding in Tibet in 2016, and hiking the Salkantay Trail in Peru in 2017, Sue and I faced the difficult question of what to do in 2018. It turned out to be not so difficult after all. When she suggested that we go on a bicycle tour in Europe, I was all in. It didn't take long for Sue to find out that the best options were with Trek Travel, a division of the Trek Bicycle Corp., based in Waterloo, Wis., near Madison. Trek goes back to 1975 and today has some 1,700 dealerships across North America and subsidiaries in Europe and Asia. Trek Travel has been hosting riders on bicycle tours for years, and this year won a coveted award as a World's Best Tour Operator from Travel + Leisure magazine. Where to go? Trek offers tours throughout the U.S. as well as Japan, Europe, the British Isles, and some countries in Central and South America, plus Cuba. We chose Spain. Sue had visited Spain briefly a few years ago on a Mediterranean cruise, while I had never been there. The itinerary would take us through the area known as Andalucia, with rolling hills and low mountains, on the Mediterranean coast. Once we had the trip booked, we had to start training. When spring finally arrived up in northwest Wisconsin, we started hitting the road virtually every weekend. I had incorporated a 5-mile morning ride into my summer fitness regimen a few years earlier, but after seeing the itinerary, I knew that wasn't going to cut it. We started heading out for rides of 15-25 miles, exploring the county and town roads near our home. Even though our bikes were certainly not anywhere close to the caliber of ride Trek would provide, we made do. And best of all, our Yorkie, Sophie, was able to accompany us most of the time, riding in a pack we wore on our chests. but she sure was fun to have on our Wisconsin rides. Finally, October arrived, and with it, the first snow flurries, signaling the end of our training season. On the 19th we set out for the Minneapolis airport to begin the long haul to the Iberian Peninsula of Europe. Our first leg was a relatively brief hop: Minneapolis to Detroit. After a short layover there, we settled in for our flight to Europe, seven hours to Amsterdam in the Netherlands. Our connecting flight there would depart only an hour after our scheduled arrival, which made us a bit concerned. But it was the only one available that day, so we decided to book it and hope for the best. We arrived on time, and the folks at Amsterdam Airport Schiphol were their usual efficient selves. taken off. Some 15 hours later, smiles are harder to come by. While waiting in customs, I was able to log into the airport's WiFi and use my phone's scoreboard app to check in on the baseball playoffs. 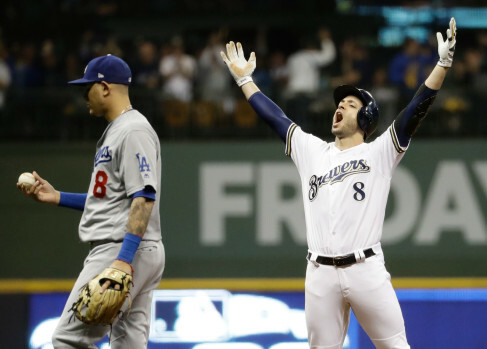 Sue and I are rather avid fans of the Milwaukee Brewers, who were engaged in a fierce battle with the Los Angeles Dodgers for the National League championship. Trailing 3-2 in the best-of-seven series, the Brewers were hosting Game 6 that night--or early morning in Europe--and I was able to virtually "see" them close out a tense victory, setting the stage for a climactic Game 7 the next night for the pennant and a trip to the World Series. sacrifices have to be made. Everything went well in customs and we got to our gate with time to spare. Our flight to Seville would be on Transavia, a subsidiary of the Dutch airline giant KLM. It is known as "low-budget," and they weren't kidding. It was like going back in time about 40 years, as far as airline travel, but at least they didn't allow smoking. Despite the relative lack of comfort, we got to Seville in one piece in the early afternoon. Seville Airport was much quieter when we arrived. The weather was not cooperating; we would soon find out that it was even worse to the south of us, where we would be heading the next day to begin our bicycle trek. In Seville, it was only raining, but that didn't stop people from being out and about, including tourists. We had a car from the hotel waiting for us at the airport for the drive into the city. Seville is like many Spanish cities: it was founded by the Romans, or even earlier settlers, and later taken over by the Moors, the Islamic invaders who occupied much of the Iberian Peninsula from the early 8th century until their ultimate defeat in 1492, the same year Christopher Columbus set sail for what he hoped would be India. Seville's founding may go back a lot further than the Romans; according to legend, the city was begun by none other than the Greek demigod Hercules. It is said he traveled by ship westward through the Mediterranean and founded the trading sites of Cadiz and Seville. Archaeological digs have discovered signs of settlement going back as early as the 8th century BC. Our hotel was the Corral del Rey, located in the city's historic Old Quarter. It didn't take us long after leaving the airport to discover that the Old Quarter was certainly not designed with automobiles in mind, but the Spaniards have adapted nicely. quite skilled at close-quarters turns. 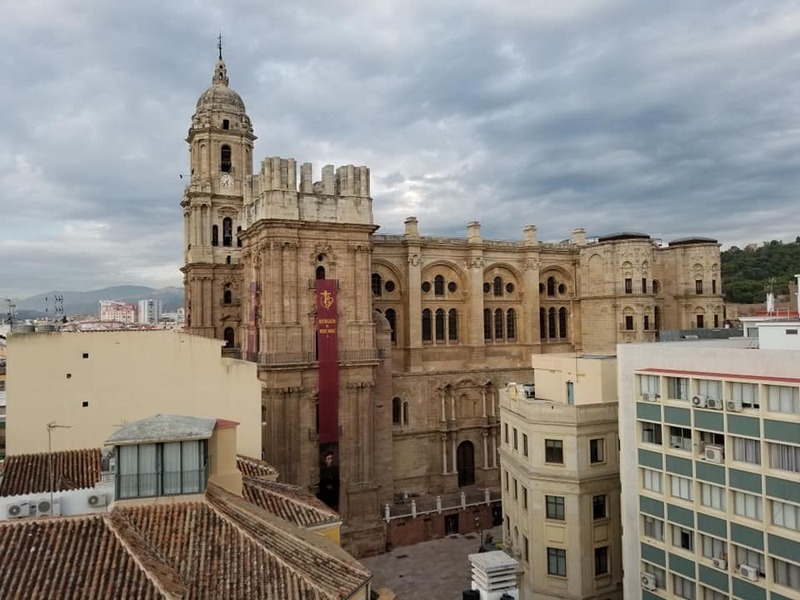 The day was still relatively young, so after checking in and unpacking, we set out to do a little exploring and find a place for our first dinner in Spain. The focal point of the Old Quarter is Catedral de Sevilla, the city's foremost cathedral. the largest cathedral on the planet. This is a better shot of the cathedral, from its Wikipedia page. still in use in Europe. 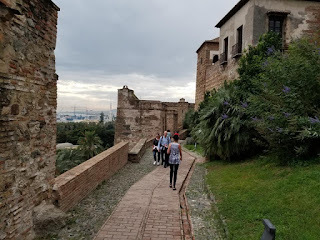 We passed on going into the Cathedral or the Alcazar for tours, as the lines were long, even in this weather, and after dining at a nice restaurant we hoofed it back to our hotel. The long day of travel was starting to catch up to us. The next morning we would meet our Trek Travel group and begin our biking adventure, but we were already wishing we had come a day or two earlier so we could explore more of this beautiful city. We met the other members of our group and were surprised to find four other Wisconsinites among the 29 other riders. There were two Canadians and the rest from the U.S., with the Badger State's six giving us the highest representation. We also met the first of our three guides, Tara Hetz, a young woman of Dutch-American heritage who was quite apologetic when she informed us that the weather had forced Trek to cancel our first day's ride. We would be busing all the way to Ronda and saddle up for the first time the next morning, when the weather was expected to be much better. Nobody seemed to mind very much, as we loaded our gear onto the bus and headed southeastward through the hills of Andalusia. It was about 130km and the weather was decent on the way, although it didn't take long for us to see signs of yesterday's devastation. A few words about Andalusia. 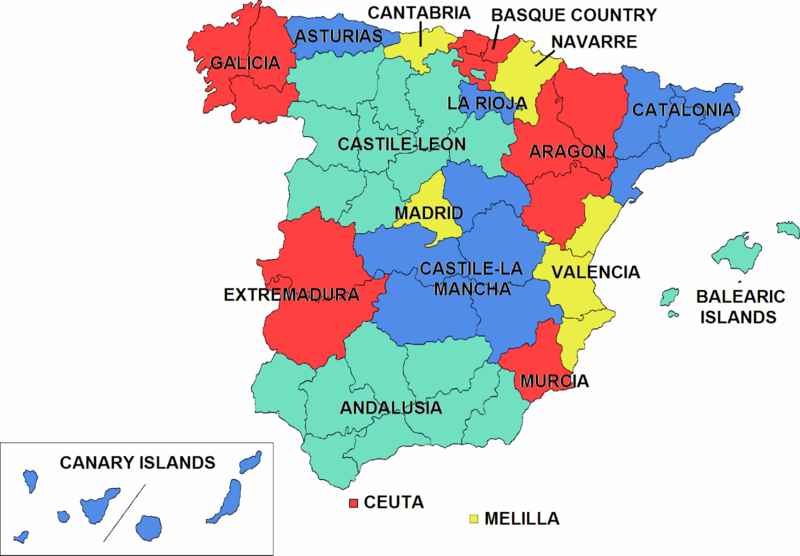 It is considered an "autonomous community," which in Spain would be equivalent to a U.S. state. 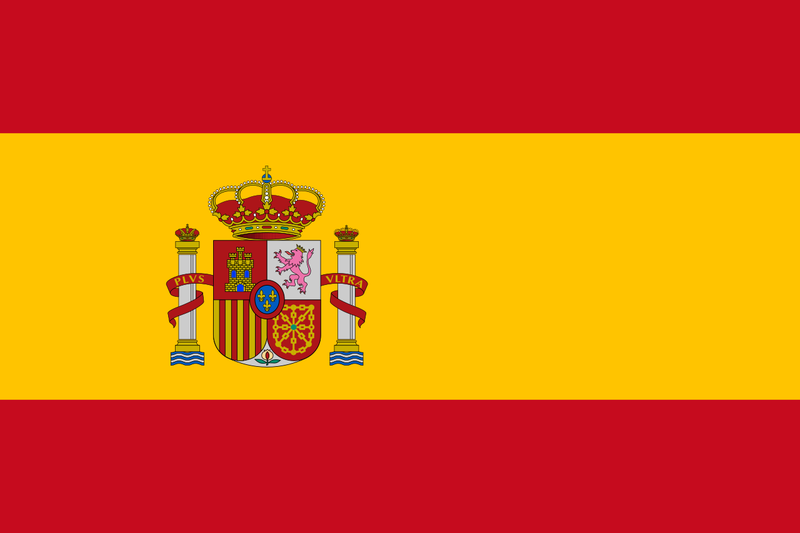 The Spanish constitution of 1978 was written to give more autonomy to the nation's various regions and their ethnic groups. 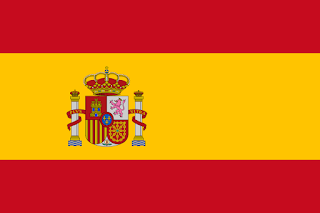 Spain has 17 autonomous communities, two of which are off-shore island groups: the Canary Islands and the Balearic Islands. There are also two autonomous cities, Cueta and Melilla, which have not yet been elevated to community status. Andalusia is the second-largest of these communities at just over 87,000 square km, trailing only Castile-Leon, and it's the most populous, with nearly 8.4 million inhabitants. Yet its large size means its population density puts it in the bottom half of the list, well behind the next-largest communities by population, Catalonia (which includes Barcelona) and Madrid. The name is derived from the Arabic word "Al-Andalus," which first appeared on coins in the year 716 AD. Bordering Portugal on its western edge, Andalusia has the longest Mediterranean coastline of any of the four Spanish communities on the southern coast. It is the warmest region in Spain and in fact, in all of Europe; summer temps in Seville routinely top 97 degrees F. It is also the most mountainous region of Europe outside the Caucasus and the Alps, featuring Mulhacen peak (11,413ft). As a cultural region, it is known as the most vibrant in all of Spain. Perhaps the most recognizable parts of Spanish culture are the flamenco dance and the bullfight; both originated here. The breed of horse native to Andalusia has been prized for centuries, first as a war horse and also by nobility, to the point where Spanish kings routinely used Andalusian horses as bargaining chips in their diplomacy with the rest of Europe. Today it is coveted not only for use in equestrian events and recreational riding but in the movies. 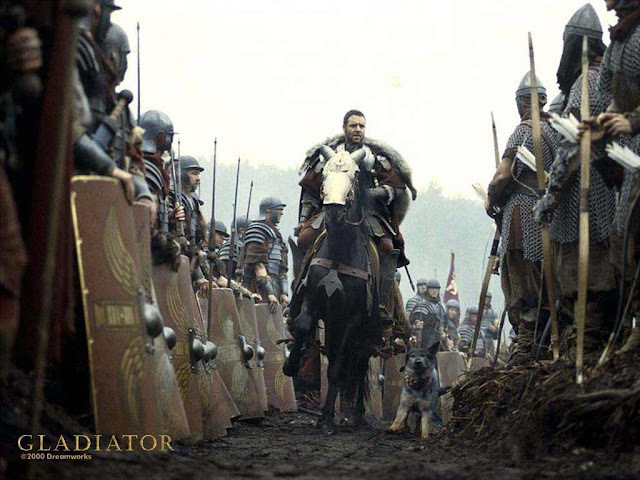 including the 2000 Oscar-winning epic Gladiator. We arrived in Ronda by early afternoon and checked into our hotel, the Reina Victoria. We were immediately impressed with the service and our room, which included a balcony, although the view when we arrived was not particularly inviting, thanks to the weather. As overcast as it was, the weather wasn't daunting enough to keep us and several other members of our group from setting out on foot to explore the city. Ronda has a population of about 34,000 and is rather unique in that it is a city divided by a gorge, and a big one it is, formed by the Guadalevin River. The gorge is named El Tajo and is over 300 feet deep. Ronda was founded around 200 BC by the Roman general Scipio Africanus, considered one of the greatest military strategists of all time; his defeat of Hannibal in 202 BC quite probably saved Rome from conquest and destruction. bridges spanning El Tajo, but it was finished in 1793. Despite the rain, there were still plenty of people strolling across the bridge. We went back to the hotel in time to freshen up for our evening event, a meet-and-greet with all three of our guides and dinner. The other two guides were Justin Schnittker, an American from Colorado, and Chiara Ciurli, from Italy. The ambience and camaraderie that Trek Travel likes to have for its tours was immediately evident when Justin asked us to introduce ourselves not only by name and home state, but by our favorite musical artists, past and present (Creedence Clearwater Revival and Michael Buble for me). A fine time was had by all, and our guides assured us that the next day would be fine weather for biking. We retired rather early, fighting off the last of the jet lag from the flights, but full of anticipation for the next day's inaugural ride. We had already discovered that virtually all of our companions were ardent cyclists, many of them members of riding clubs with extensive experience. Sue and I were wondering if we'd be able to keep up. The next morning, we would find out. The day dawned bright and sunny, creating enthusiasm among the group and no doubt relief among our guides. After breakfast we gathered in the parking lot for an orientation session and briefing about the day's ride. Low-lying fog gave us a preview of coming attractions on the ride. Suited up and ready to go, our group sorts through gear as we prepare to saddle up. Chiara, our guide for the day, gives us our first morning briefing of the ride. Sue proudly takes possession of her Trek e-bike. In the run-up to the trip, Trek had recommended that Sue and I get bikes with electric assist. These are electric motors that the rider can engage at any time for a boost on uphill climbs. You still have to pedal, but the motor does make it easier, of course. We were the only two riders to have e-bikes, which are heavier than their motor-less cousins, but later in the trip a couple other riders traded off on the tour's spare e-bike, quickly becoming converts. The Garmin GPS devices would quickly prove to be vital. The day's ride was programmed into the device, and each day after returning to our base camp, the guides would collect the Garmins and charge them up for the next day, in addition to making sure the next ride was ready to go. We would ride a total of about 50 miles today, and our lunch stop would be at the olive oil mill we'd been scheduled to visit the day before after leaving Seville. Chiara carefully explained the rules of the road for us, and our other guides, Justin and Tara, would be following in a van containing spare parts, food and water, and room for any riders who were injured or just plain tired. Of course, none of us on this first morning ever thought we'd be using the van, but eventually everybody did, as we will see. We stopped in a town to let the fog burn off on our upcoming route, and had enough time to clean up a bit and get a cup of coffee. Spain, we discovered, is every bit as coffee-crazy as the U.S., and the group was glad to take advantage of that on every stop. Sue took the opportunity of the rest stop to record her first video of the trek: Sue takes a break. Our first stop was in a pleasant Spanish town that, fortunately, had a coffee shop. After our break, we enthusiastically saddled up and set off for our luncheon stop. We would be riding into Cadiz province. Once we hit open road, the group began to stretch out, with the more experienced (and daring) riders going ahead. At one point I got separated from Sue and the rest of the group and spent several miles biking alone, but thanks to the Garmin, I made it to the olive oil mill in good shape. I figured that if I saw a sign reading "Welcome to Portugal," I would know I'd gone too far. It didn't take long for us to get into the mountainous parts of the region. and the ride was very pleasant. The Spanish scenery captivated us very quickly. produces half the world's olive oil. We made it to our luncheon stop, El Vinculo Molino. This olive oil mill was built in 1755 and is still a working mill today, and owned by the same family who bought it from its original owner, a nobleman. The family is now in its 11th generation of operation. After lunch, the owner gave us a tour of the mill and explained how the thousands of olives they harvest are turned into olive oil. Most mills in Spain are much larger than this one, but the process remains about the same regardless of size. Here's a video that describes the milling process: Olive oil production. but elegant Spanish lunch at the mill. After lunch, a tour of the mill's production facility. to be shipped back home. Ours would arrive a few weeks later after the harvest, and it's very good. The ride today had been planned as a 44km trek, but turned out to be considerably longer thanks to detours we encountered due to the heavy rains of the previous days. When we staggered back to the hotel in Ronda, my odometer told me we'd done almost 50 miles. This was almost twice as long as any training ride we'd done back home, and we were feeling it when we finally made it back to our room. Two veteran riders from Virginia had advised taking this pose to allow lactic acid, which builds up in the legs, to drain, making recovery quicker. It seemed to work. wind up the first day of my 63rd year. All in all, as the group gathered for dinner, we agreed it had been a fine ride, if a little muddy at the start and longer than expected. After dinner, we gathered for a private tour of Ronda, conducted by an exceptional guide. It had turned into a long day, so we left the tour a little early to get back to the hotel for the night. The next day's ride, we'd been told, would be shorter, but no less picturesque. Our luncheon stop, they said, would be the most memorable of the trip. They would turn out to be spot-on about that prediction. This would be our final day based in Ronda, and it would be packed. First, our ride: 40km from Ronda to Alcala de Valle via the Setenil Loop. We set out under sunny skies with high spirits. Our hosts promised us that our morning coffee stop, along with our luncheon stop, would be highlights of the trip, and they weren't kidding. Ronda can be seen in the distance as the horizontal white line in the center, just before the mountain peaks. Sue gets a shot of Ronda. As one might expect for the country that produces half the world's olive oil, plantations are plentiful in Spain. We soon arrived in the village of Setenil de las Bodegas. With a population just under 3,000, this village is one of many in southern Spain that are collectively known as Pueblos Blancos, or white villages, due to the fact that virtually every building is whitewashed stone, with red or brown tiled roofs. This particular village was literally built into the sides of limestone cliffs which form a gorge, through which the Rio Trejo flows. Like many places in Andalusia, this village has a Moorish past. Sue celebrates our arrival in Setenil de las Bodegas. Typical of the white villages of Andalusia, this one is a real gem. As we rode further into the town, streets got narrower. Finally, our stop, and a chance to get some coffee and do a little exploring of these unique shops, built into a mountainside. Karen's future daughter-in-law Megan Olson (Pasadena), Sue, and Robin Lowe (Rockford IL). It was a delightful place to take a break, but soon we were on the road again, for our final leg to Alcala del Valle. It was only about 15km, and we were in good shape as we arrived in the town. We made our way to the Polear Cafe and Bar, a place that had a nice but not expansive front, but inside it was elegantly modern. We had the upper room to ourselves for what turned out to be one of the best luncheons, if not the best, that any of us ever had. ...but inside, airy and modern. The menu, with each course accompanied by a different Spanish wine. our engaged couple from Virginia, Stacey Bran and Chris Kolster, decided to get hitched right then and there. Performing the rites--unofficially--was Catherine Rogers, an attorney back home in Portland OR. It was another 24km back to our hotel in Ronda after the lunch, and Justin gave us the option of doing it on our bikes or in the Trek vans. All but one of us chose the vans. Considering the amount of wine that had been consumed at lunch, that was probably a good idea. Besides, we had a big evening ahead of us. We would be having dinner at a night club, and stay for the show. Everybody wanted to be well-rested for the evening, and it turned out to be a very good idea. Sue is wearing the boots she bought in Seville. The night club was small, very intimate, seating about 30 diners on the floor and in three tiers. We had seen flamenco dancing in the movies, of course, but didn't know much about it, and this would be the first live presentation of the art for almost everyone in the group. Flamenco is the native Andalusian art form that not only features the dance (baile), but guitar playing (toque), singing (cante), hand-clapping (palmas) and finger-snapping (pitos). The first recorded description of flamenco is from a book published in 1774. It has been influenced by the culture of Spanish gypsies, known as Romani, but is generally accepted to be an Andalusian creation. It has become popular worldwide; Japan has more flamenco academies, for the study of the art, than Spain. Here's a great article that goes into flamenco in depth: Flamenco. The show began on the small stage with a single guitarist. I should say here that I learned to play guitar in 7th grade and still play occasionally in church, but this fellow was many, many degrees of talent above mine: Flamenco guitarist and singers. The singers, as you can see and hear, sang with passion. I only wish I knew Spanish much better than just a few words, as the songs told stories that were then interpreted by the dance. And I'm here to tell you, this dancer was like nothing we'd ever seen: Flamenco dance. It was a two-act show, and here's another performance: Flamenco dance 2. All in all, a sensational way to end what had been our best day yet in Spain. Tomorrow, there would be more, another long ride to our next overnight destination, Antequerra. Today we would pack up and depart Ronda. Our bags were transported in one of the Trek vans, with the other serving as the chase vehicle for the ride. We would bike the 83.5km from Ronda to our next hotel, the Hotel Convento Magdalena, outside the city of Antequerra. Hey, we thought, nothing to it. The route would take us east from Ronda throgh the Sierra de las Nieves, a nature reserve that is a karstic range of mountains, with lots of caves, although we wouldn't be exploring any of them. We noticed that the roads were still suffering the effects of the previous weekend's storms and mudslides. Although we didn't have to make any detours, we often encountered debris that the road crews had not yet been able to remove. Nothing we couldn't handle, though. Emerging from the valley, we stopped to take one last look back toward Ronda. Trek was always very good about having way stations set up for rest stops. Water, juice, fruit and granola aplenty. The terrain soon changed, immersing us in the Sierra de las Nieves. As we neared the reservoirs, their impact on the ecosystem quickly became apparent. Way back in 1921, the Spanish government finished a 200-meter-tall dam on the Guadalhorce River in El Chorro. King Alfonso XIII was there at the dedication. It took them another half-century, but eventually they completed two more dams to create a total of three reservoirs. Today, not only do the dams supply a lot of hydroelectric power to this area of Spain, the reservoirs are prime destinations for water sports, camping and hiking. Sue takes a brief break alongside one of the reservoirs, collectively known as Embalse del Guadalhorce. By now we had put the worst of the mudslides behind us and it was pretty smooth sailing. We were also able to see the devastating impact of the heavy rains on the reservoirs' water. Silt had been washed from the hillsides into the reservoirs, turning large areas to brown. Certainly not something the vacationers wanted to see, not to mention the businesses that rely on them for lodging, meals and gear. Nobody seemed to know how long it would take for the reservoirs to clear up. It was a long haul, but eventually we neared the hotel. One thing we'd noticed on the first day is that the group wasn't required to stay together, as I thought would be the case. Some of the more gung-ho riders would get out front early and stay there, while others took their time. Thanks to the e-bikes, Sue and I were able to play catch-up on the longer upgrades. And today, Robin Lowe from Rockford decided to try out the group's spare e-bike. She quickly became a convert. The hotel turnoff came in sight at last, some 50 miles after leaving Ronda for the last time. I hadn't figured out from the name that the hotel was an old convent, but it most certainly was. The San Pedro de Alcantara Convent opened in the 16th century, and was converted to the 5-star Hotel Convento Magdalena several years ago. When we rolled into the courtyard, we were immediately charmed. The interior was comfortable and beautifully-rendered, with all the modern amenities today's traveler wants. When we go to a unique new hotel, Sue likes to do a little video about the room. She was especially excited about this one: Sue describes our room. Everybody was in good shape as we arrived, with plenty of time to clean up and change for dinner. We bused to a nearby country club for what was perhaps our most elegant dinner of the trip. It had been a long but gratifying day. With one day of riding to go--Friday morning would offer a short optional ride before we left the hotel for Malaga and our flights home--nobody had gotten injured or ill, although some of the climbs had been tougher on some riders than others. The group had bonded well. Sue and I were seemingly the only ones who didn't belong to some sort of riding club back home, and so we didn't have the flashy duds that everybody else had--aside from the Trek jersey that was provided to everybody--but nobody held that against us. And the bonding was a good thing, because the next day, our final full day of riding, would present us with our biggest challenge yet: El Torcal. This would be the only day where we could see our objective from our hotel. El Torcal is actually a long ridge, and to get to the top we would have an overall climb of 1363 meters of climbing. Our ride in total would be about 56km. El Torcal, as viewed from our hotel, on the morning of our assault. We had our usual--and final--morning ride briefing and hit the road. The first peak was achieved about 8km from the hotel, with the latter half of that distance a very long upgrade. With Embalse del Guadalhorce behind us, we were able to scale the first peak. The weather was perfect and everybody made it. The spare e-bike that Robin from Rockford had ridden the day before was now being used by her husband, Don. When he got to the first peak, he said, "I've been doing it wrong all these years." Another convert. Our route now would parallel the ridge line, with a descent into the town of Villanueva de la Concepcion. On this downgrade, I hit my top speed of the trip, about 45mph. That's pretty fast on a bicycle, even on a good road with no traffic, and as I coasted into the town (with a more cautious Sue well behind me) I decided that upcoming downgrades would be taken a little more slowly. After going through the town, the final assault on the peak began. It was a haul, even with the e-bikes. The Andalusian countryside was especially beautiful today. When we arrived at the unofficial launching point of the final assault on the mountain, a selfie was required. After the sign selfie, we did our final prep for the biggest climb of the trek. Stopping every now and then to get a quick rest was definitely a good idea on this leg of the ride. As the altitude increased, so did the gradient of the road. But the view was worth it. At the top, a chance to rest up near the visitors center, get a drink, a snack, and contemplate the climb. is in the distance. They say on a clear day you can even see North Africa from here. There was a hiking path around the peak that Sue and most of the group chose to tackle, but I begged off, as other visitors said it was slippery from the recent rains and had a lot of rocks. Instead, I decided to make some Spanish friends. For this trip, I started a new tradition for our trips: I would bring a couple of Wisconsin Badger ball caps along and find some kids who might like them. I didn't have to search very far. A large group of middle schoolers was touring the peak. I gave one cap to a girl who was lying on a bench, dealing with the altitude, and the other to the lad in this picture. I had a lot of friends very quickly. The hike took about a half-hour, and Sue said it wasn't bad at all. Of course, she had some experience with hiking at altitude after our trip to the Peruvian Andes some 16 months before. This was the type of terrain she and the other hikers dealt with at the top of El Torcal. We'd made pretty good time, but eventually it was time to leave. Lunch in Antequera was waiting for us. We took the descent from the peak pretty cautiously; it wouldn't do to wipe out now, when we were so close to the end of the trip. Antequera is a good-sized city and we got a little turned around when we arrived, but eventually Chiara hailed us from one of the bikes and got us delivered to where we wanted to go. In Antequera, we eventually made our way to Plaza de San Sebastian, where we had a late lunch at a nearby restaurant. From downtown Antequera it was only about ten miles back to our hotel outside the city. 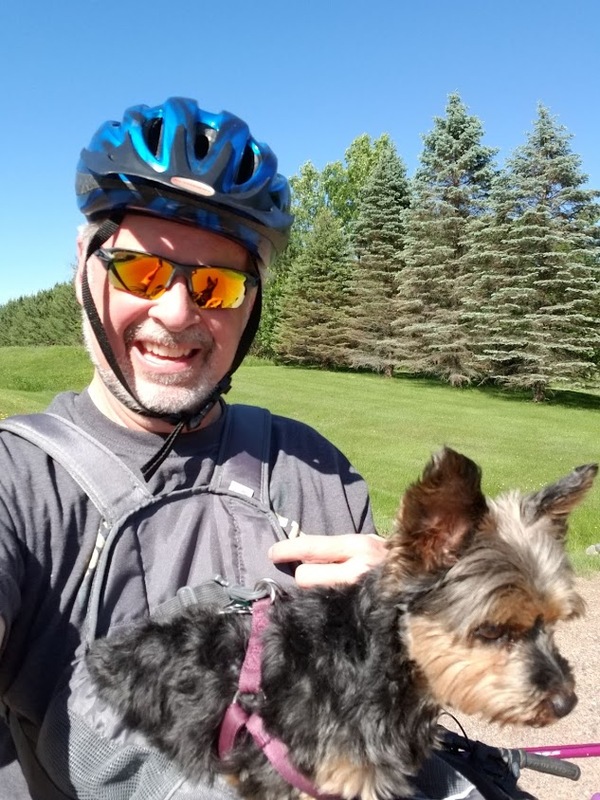 I remembered that during our training rides back in Wisconsin, a ten-mile ride was considered a pretty good day's ride. By now, for us it was nothing. Our final dinner together was a bittersweet affair, held in the hotel's dining room. On an "adventure" trip like this, similar to the one we did in Peru, the shared experience really serves to bond people together. We're all going through the same thing and meeting the same challenges. The conversation at the table was lively and the wine flowed once more. The next day, some of us would be taking the final, 30km ride through Valle de Abdalajis, while everyone else would be packing up and relaxing before our bus ride to Malaga. As always on one of our trips, we were looking forward to getting home, but we were a bit saddened that the trip we'd been looking forward to for so long was almost done. Sue and I passed on the optional ride, preferring to get our luggage ready, tour the beautiful hotel and grounds, and visit with our traveling comrades. Our guides surprised us with a video comprising stills and videos they'd taken during the trek and some contributed by the riders. Then, by mid-morning it was time to load up the buses. Virtually everybody would be going to Malaga, about 70km away. Some would be going directly to the airport, others to hotels. 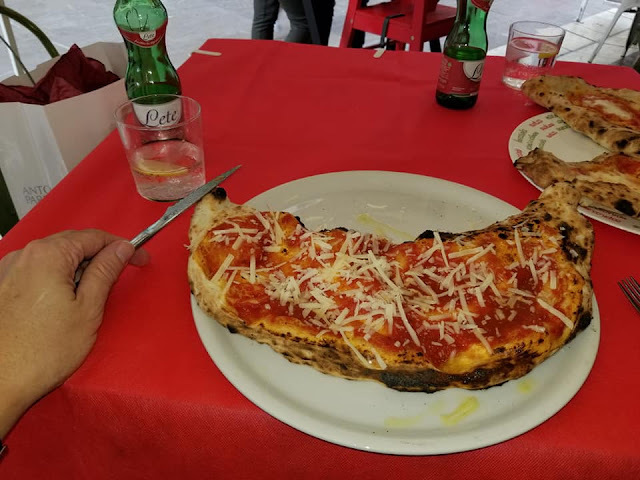 Since our flight wasn't until the next day, Sue had picked out another nice one for us: Hotel Molina Lario. We arrived at mid-day, and after saying goodbye to our Trek friends, found our hotel and settled in. Well-rested and with good weather greeting us, we were eager to explore this Mediterranean port city of more than half a million inhabitants. Sue found a Starbucks a block from our hotel. was founded by the Phoenicians in the 8th century BC. At the Gardens of Pedro Luis Alonso, which contain over 75 varieties of roses. Over 6500 meters square, the gardens blend Spanish, Moorish and French features. We began the climb up Monte Gibralfaro, 130m above the city, stopping along the way to view the cityscape. protected by law in Spain, as well as parts of Portugal, France and Mexico. industrial park that employs nearly 17,000 workers. extension of the gardens down below. by the Spanish crown in 1487.
the hotel. After a week of Spanish dining, we wanted to do some Italian; at home, Friday night is pizza night for us. but we couldn't finish them. the Cathedral of the Incarnation. By now the day was catching up to us, and we decided to turn in. We had an early flight the next day, and it would be a long trip home. Our last night in Spain passed quietly. Malaga has a vibrant night life, but we took a pass. The Malaga Costa del Sol Airport is one of the oldest in Spain but very modern, handling some 13 million passengers per year. We got there in plenty of time for our flight and had a chance to relax, engage the airport's WiFi and catch up with the world. We'd had WiFi in our hotels on the trip, but didn't have time for a lot of browsing. I think Sue has a built-in Starbucks locator. 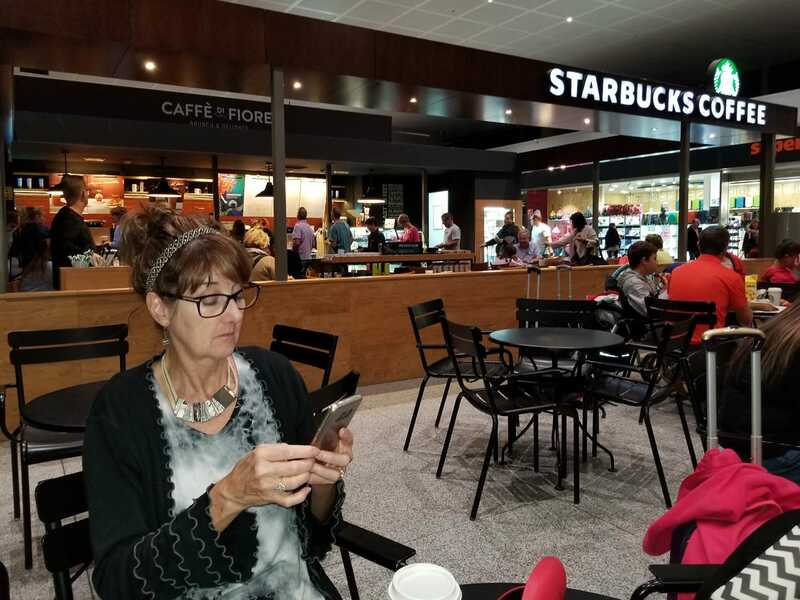 Here she relaxes in the airport and catches up on her email. A travel agent's work is never done. Our first flight was to Paris. I'd never been there, but we had only a short layover and never left the airport. From there it was across the Atlantic to New York, landing at JFK. I'd been to LaGuardia before and Sue had told me JFK was even worse, and after spending some time there, I believed her. Fortunately, our layover was short and then it was on to our last air leg, to Minneapolis. From there it was our standard two-hour drive home. Due to the time change, we had time to pick up our pets from their kennels. All told, it took us about 22 hours from leaving our hotel in Malaga to our arrival home. And yes, we were tuckered out. Even before leaving Spain, Sue and I had been talking about another Trek tour. Maybe Ireland this time, a country neither of us have visited. Justin, one of our guides, said he'd done an Ireland tour and highly recommended it. Maybe we can get him as one of our guides to show us the Emerald Isle. Most of our group had not trekked with Trek Travel before, but we were all highly impressed, and Sue will make sure to steer her bicyclist clients their way. Our pre-Trek training in Wisconsin had paid off, and having the e-bikes certainly helped. 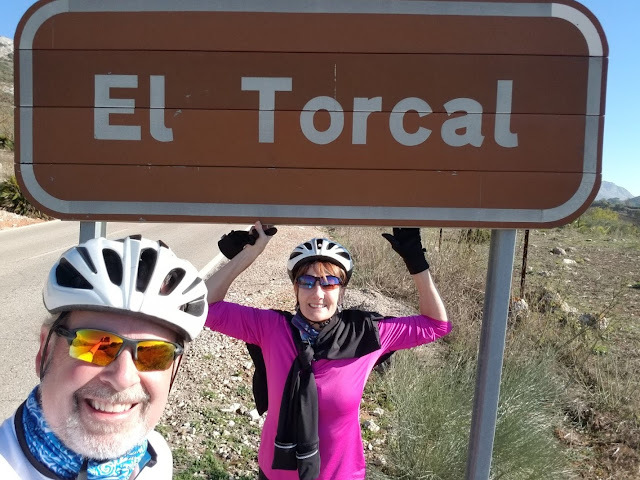 We could've done it without them, but we were in Spain not just to get exercise, but to see the country, and the e-bikes certainly made the rides more enjoyable for us. As for the country itself, we were both very favorably impressed. 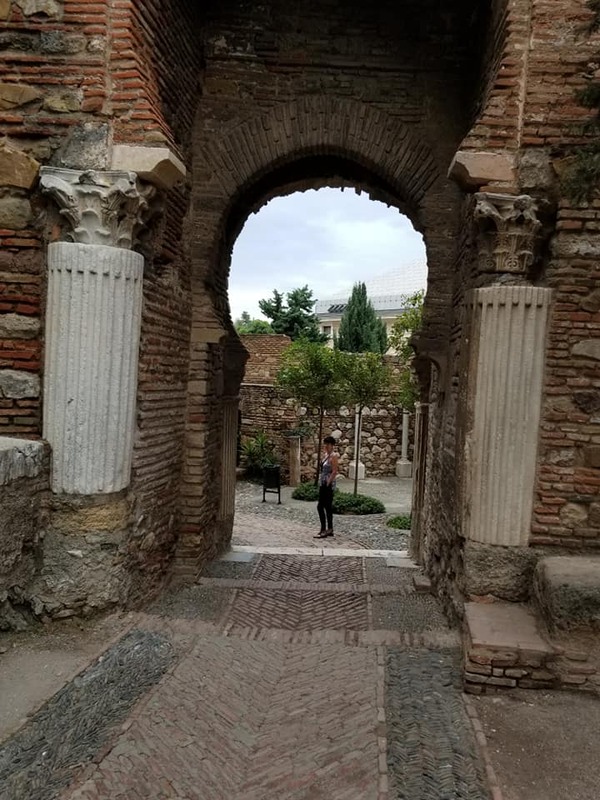 Like virtually every European country, Spain is a blend of modernity and antiquity, and the Spaniards do a better job than most in preserving and recognizing their past while providing modern amenities and looking to the future. When U.S. news programs talk about what's going on in Europe, Spain is not mentioned very often, and in a way that's good. When we said "Adios!" to Spain, we also added, "Volveremos!" We will return! The place to go to plan your next journey.